The imaging of smaller vessels and organ perfusion has high clinical value for the di¬agnosis of cardiovascular disorders and cancer. Ultrasound imaging is the most used medical image modality since it is relatively cheap and flexible. Ultrasound contrast agents (UCAs) are used to enhance the signals from blood, thus facilitating the diagnosis. Such agents consist of stabilized gaseous microbubbles that are as small as red blood cells; their safety is widely acknowledged. This PhD thesis studies single microbubbles in experimental laboratory setups to investigate the behavior in body-like settings. 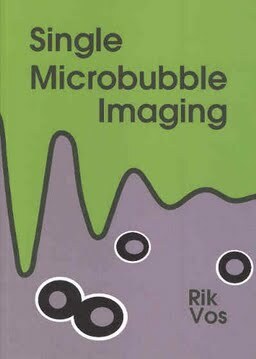 Microbubbles are sonically excited at diagnostic frequencies in the range 1 – 10 MHz. We used the unique, custom-built camera Brandaris-128 (www.brandaris128.nl) to optically record the behavior at framing rates up to 25 million frames per second. Furthermore the echo-response from microbubbles is sampled with a dedicated acoustic setup. 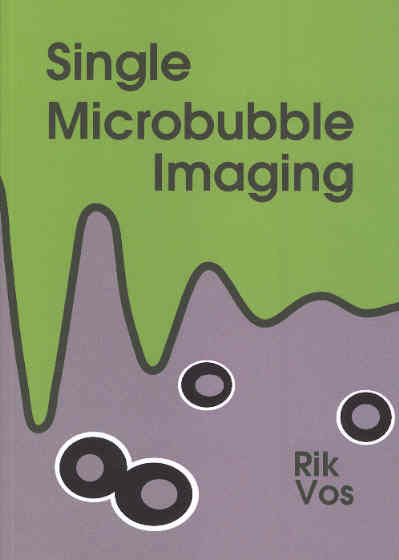 Both the optical and acoustic results in this thesis show that microbubbles behave strongly nonlinearly. New imaging strategies can be deduced from this result. Furthermore it is shown that high-frequency ultrasound (25 MHz as used in e.g. intravascular ultrasound) can be used for excitation of the microbubbles at resonance by exploiting the so-called acoustic self-demodulation mechanism. This can have major impact for vasa vasorum detection. Moreover microbubble vibrations in contact with a wall are studied in detail, revealing that the microbubble locally induces additional normal and shear stresses at the wall. This could give an explanation for the increased drug uptake as observed in bubble-cell-ultrasound systems.